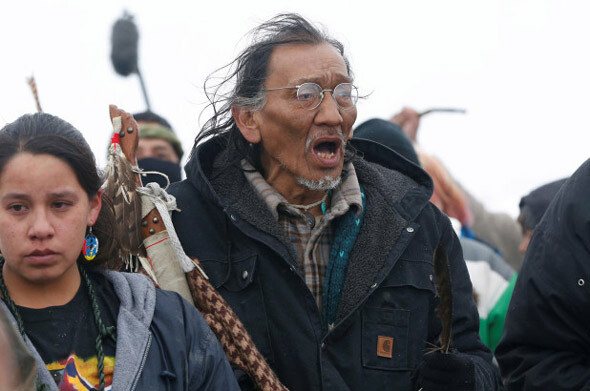 Nathan Phillips, the Native American drummer at the center of the Covington MAGA Teens controversy, denied ever referring to himself as a war veteran after the claims made by the liberal media to frame the Catholic students as agitators were debunked, and it was revealed he was never deployed to Vietnam. Phillips claims he's only ever referred to himself as a "Vietnam-times vet" who was a "recon ranger" in the Marines, forcing the mainstream media to issue corrections. Now a newly discovered video has emerged that shows Nathan Phillips clearly stating, "I am a Vietnam vet." 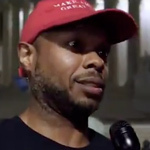 The mainstream media that framed Phillips as a war veteran was quick to walk-back on the story after it was discovered that he never served in Vietnam, because it's scratched his credibility, and with it, the anti-Trump narrative that suggested the MAGA hat-wearing Covington students were the aggressors. 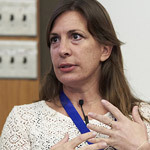 Left-wing "fact-checking" outfit Snopes has been quick to jump on the controversy in an attempt to prop up the crumbling anti-Trump propaganda. 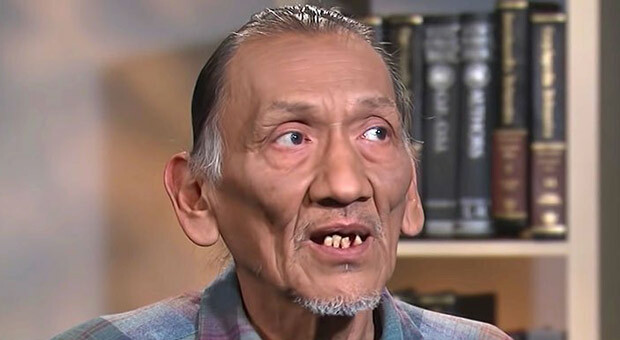 In a "fact check" by Dan Evon, entitled, "Did Nathan Phillips Falsely Claim He Was a Vietnam Veteran?," the "fact-checker" claimed it was unproven, arguing that he only referred to himself as a "Vietnam-times" or "Vietnam-era" veteran. Arguably, the latest video hadn't emerged when Evon "debunked" the claim, flagging it as "unproven," yet, interestingly, Evon later updated his "fact check" to include the video after it surfaced - admitting that he says he's "a Vietnam vet" in the footage - but claims that "Phillips just slipped up," suggesting that it wasn't what "he may have meant to say." So just to clarify, "fact-checker" Snopes asks, "Did Nathan Phillips Falsely Claim He Was a Vietnam Veteran?," finds video image of him clearly making those claims, and still states that the claim is "unproven." Prior to this, in what appears to be another attempt at framing the Covington teens as "racist," Snopes' openly anti-Trump "fact-checker" Alex Kasprak posted an image of students from the Catholic school wearing black body paint. In a "fact check" entitled, "Is This Picture from a Covington Catholic High School Basketball Game?," Kasprak ranked the image "true." 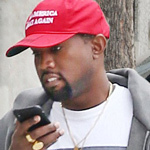 The image in question was taken during a Covington Catholic High School basketball game which Kasprak claims shows the students "wearing blackface." The photo was actually taken from a game showing students taking part in a sports tradition where fans paint their bodies all-white, all-black, or all-pink for "white-outs," "black-outs" or "pink-outs," and has nothing to do with race or racism. That being said, at least one person in the thread posited a connection to racist minstrel shows from the 19th century that used blackface on white actors to depict African Americans unfavorably. “That guy on the right looks like he might have been researching minstrelsy before the game,” one post read. According to the Daily Wire, the newly surfaced video shows Phillips unequivocally describing himself as a Vietnam veteran, and even adding that his honorable discharge papers prove that he was "in theater." In the video noted by Twitchy, Phillips discusses his military service in a Facebook Live video from 2018. "I'm a Vietnam Vet. You know, I served in Marine Corps '72 to '76," says Phillips. "I got discharged May 5, 1976. I got honorable discharge and one of the boxes shows peacetime or, what my box says is that I was 'in theater.' I don't talk much about my Vietnam times." Media: please correct your corrections. In his interviews with outlets about the viral video of his encounter with the Covington Catholic teens, Phillips portrayed the high school boys as aggressors, even going so far as to describe them as acting like "beasts" and a "mob" that was ready to "lynch" minorities, whom he described as their "prey." He also claimed that the boys chanted "Build the Wall." 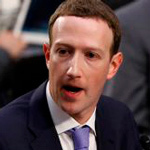 However, video evidence that quickly emerged after the initial video went viral showed that rather than being the aggressors who harassed minority activists, as Philips claimed, the boys were the ones who were harassed by the radical group Black Hebrew Israelites, which has been designated a "hate group" by SPLC. The evidence also reveals that the boys did not, in fact, chant "Build the Wall." 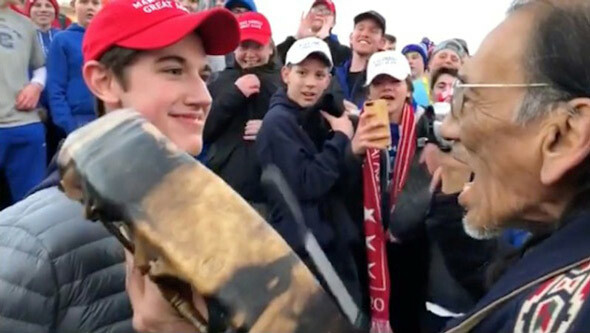 The only offensive recorded actions of any of the boys was when some of them were briefly seen doing a tomahawk chop in response to Phillips' initially confusing "protest," which included banging his drum in the face of one high school junior, Nick Sandmann. It remains to be seen if the newly surfaced footage prompts media outlets and fact-check sites to (again) update their stories. Snopes notes that some of the initial confusion about Nathan Phillips military service was due to his own statements, once being misquoted by CNN as saying "Vietnam veteran" when he, in fact, said "Vietnam-times veteran," but another time perhaps saying simply "Vietnam veteran" (video evidence doesn't exist to check the transcript's accuracy). Snopes also argues that Phillips' official service records "have not yet been made available, we cannot verify when and where he might have served." However, the US Marine Corps has publically disputed the claim that Phillips was a Vietnam vet. The USMC confirmed that Phillips, then known as Nathaniel R. Stanard, served in the Marine Corps Reserve for four years before leaving in 1976 with the rank of private. During his time in the Marine Reserve, he was a refrigerator technician and anti-tank missileman, but was never deployed overseas and didn't serve in the Vietnam war.